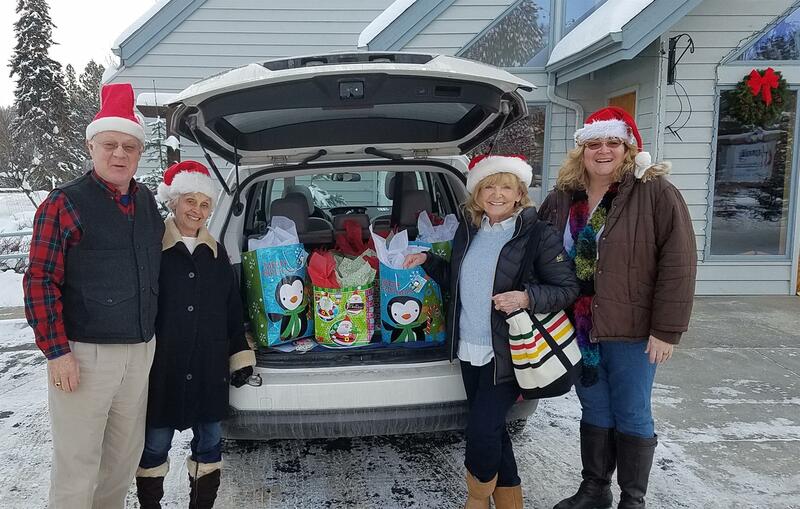 Stories | Rotary Club of Bigfork, Montana, Inc.
One of our annual projects is our Holiday Food Baskets. 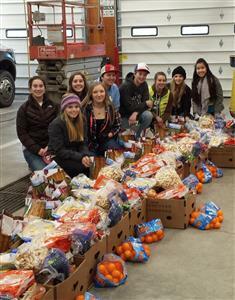 This year the club met at Harvest Foods early on a Saturday morning and collected the ordered groceries. Rotarians packed them down to the Bigfork Fire Dept and spread them out to sort. Huge boxes were filled to deliver to 19 local Bigfork families. The groceries included a ham or turkey, potatoes, stuffing, oranges, flour, eggs and milk plus lot of other ingredients for an amazing holiday meal (with leftovers)! 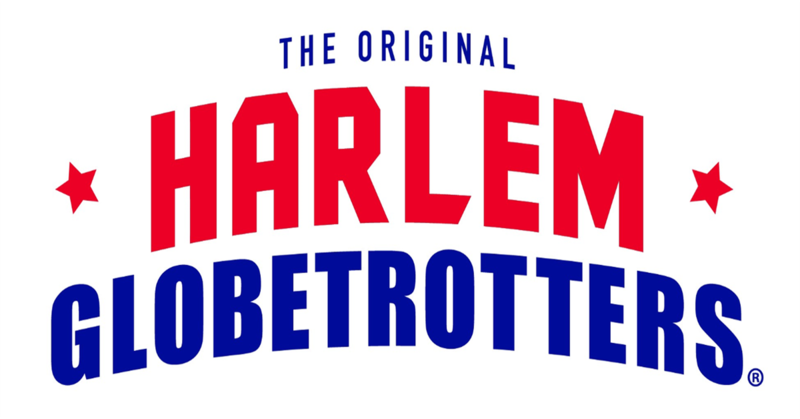 The Rotary Clubs of Bigfork and Evergreen are proud to bring you a fun-filled night with the famous Harlem Globetrotters! With your assitance our event will be a Home Town Win in helping us continue with the project locally and internationally. 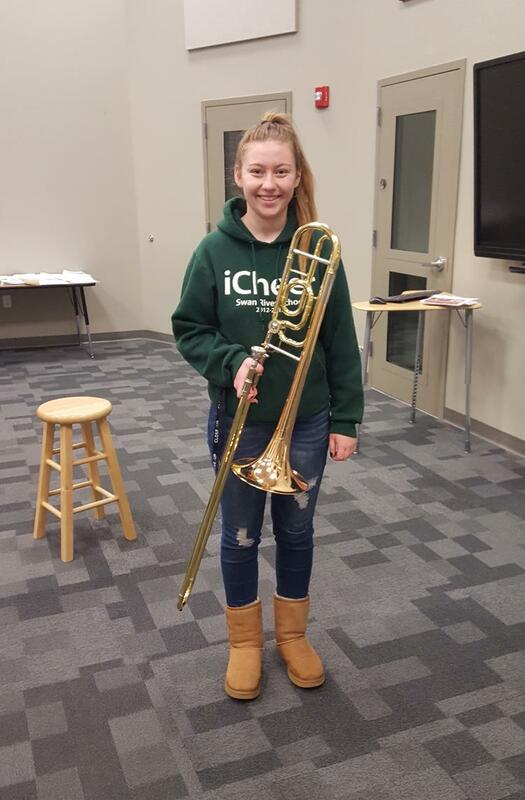 Our club just finished up a major project to purchase new band instruments to replace old, damaged and obsolete instruments at Bigfork Middle and High School. 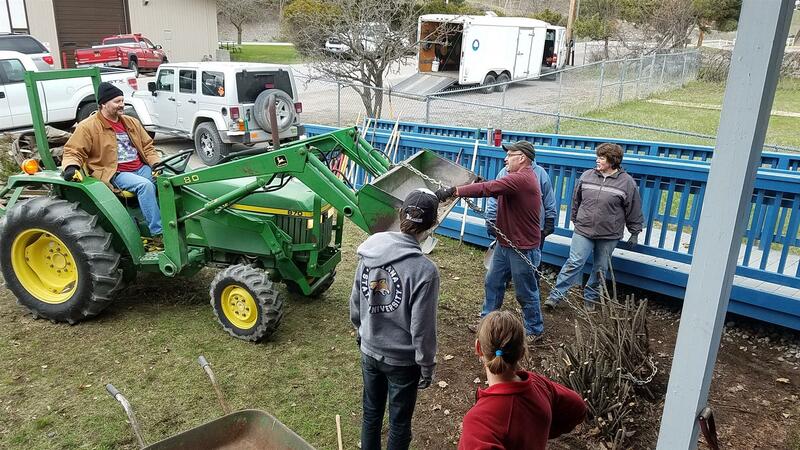 The project incorporated a $4380 grant from Montana Rotary District 5390. The club through fundraising and club member contributions raised over $12,000 more for a total of approximately $17,000. This money was enough to purchase 21 new instruments plus some other supplies for the band program. A big thank you to our two fantastic student leaders, Josie and Elizabeth, who were sponsored by our club to attend the 2017 RYLA camp! RYLA stands for Rotary Youth Leadership Awards. and develop their skills as leaders. This year camp was help July 11-15 at Luccock Park Camp near Livingston. 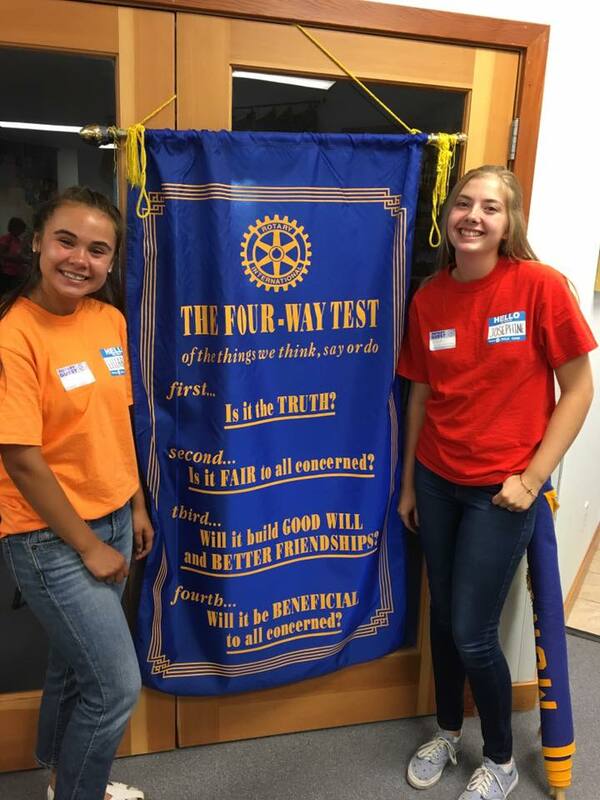 This week the girls shared stories of drills at camp and filled us in on their plans for taking over Interact Club at their school. Both hope to return to camp as junior counselors next year. Congratulations, ladies, on your accomplishments! We are proud of you and look forward to having you as members of Rotary in the future! Our club sponsored one incoming student from the island of Sardinia in Italy (Adriano) and one outgoing student from Bigfork (Devinn) going to Ecuador this school year. 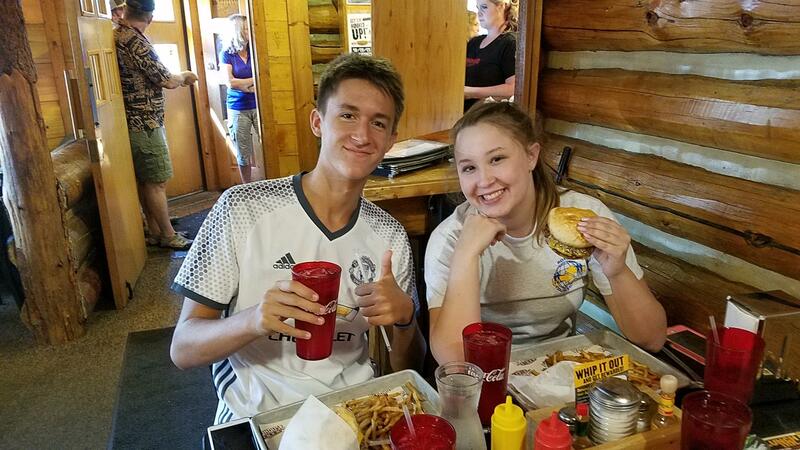 Pictured here are Adriano and Devinn getting ready to attend an orientation camp SE of Great Falls and enjoying a burger and fries along the way. 2017 Bike Raffle a Success! 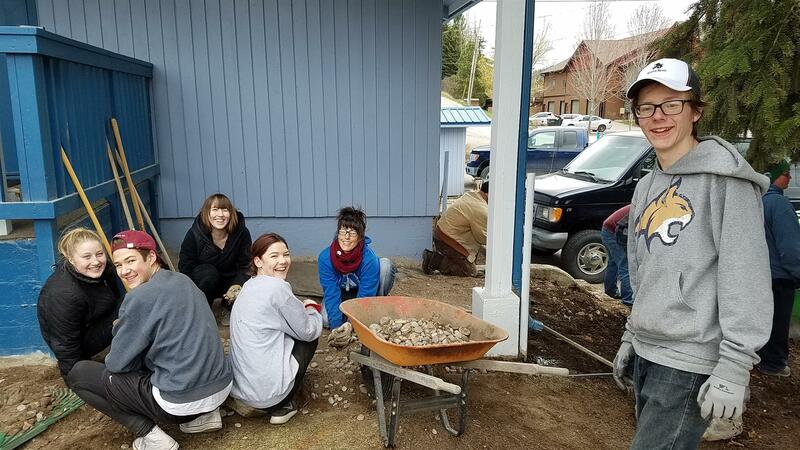 Thank you to Bigfork and all the visitors in town at the annual Festival of the Arts for stopping by our club's tent and purchasing tickets this year to support the Bigfork Rotary Foundation! 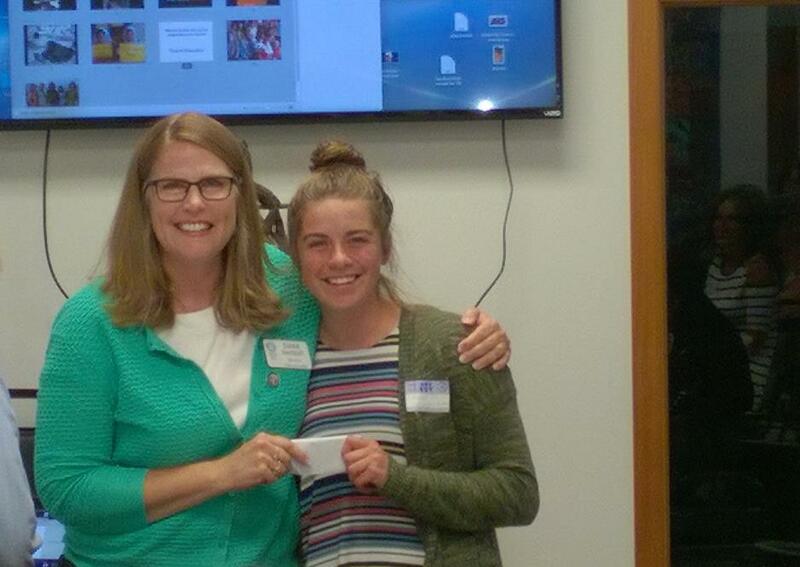 Two graduating seniors from Bigfork High School were each awarded $500 scholarships this year. 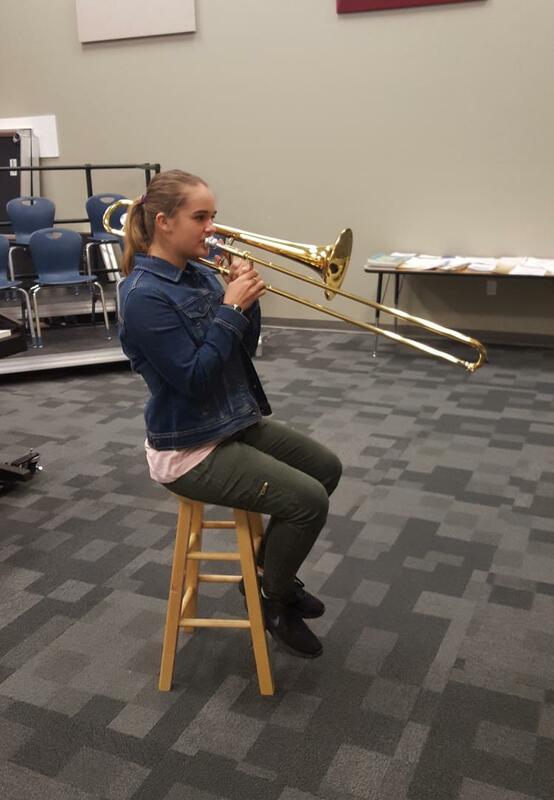 Gabriella Eaton (pictured) and Mariela Zavala! 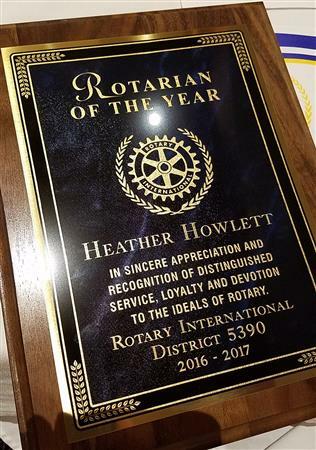 Heather Howlett, charter member of our club was honored this past Saturday with the Rotarian of the Year award. Heather has served as President of our club twice, been an Asst Governor and spent many years on the RYLA (Rotary Youth Leadership Academy) board. Heather has volunteered and chaired many projects including the newer Food Backpack Program serving kids in school with food packages for over the weekend. 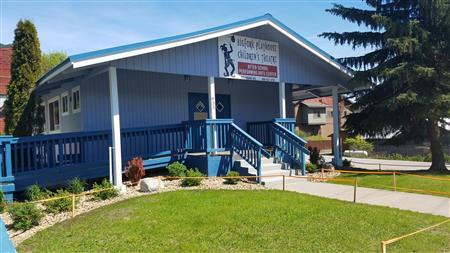 Montana has over 1,650 members and 40 clubs. 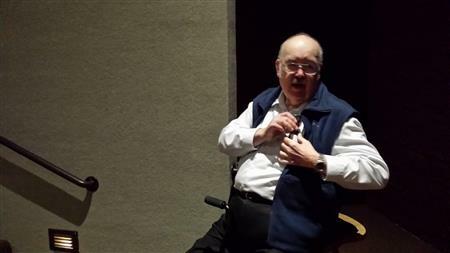 Rotarians heard about kids at our local school that might not have holiday gifts this year. 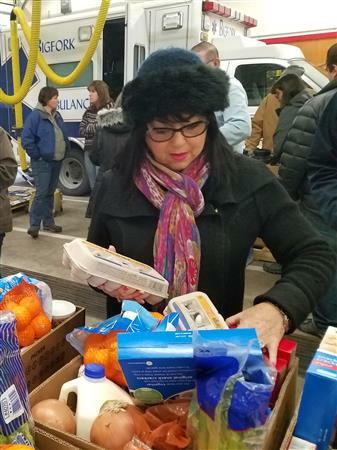 So community members and Rotarians "passed the hat" and put together some goodies for them. 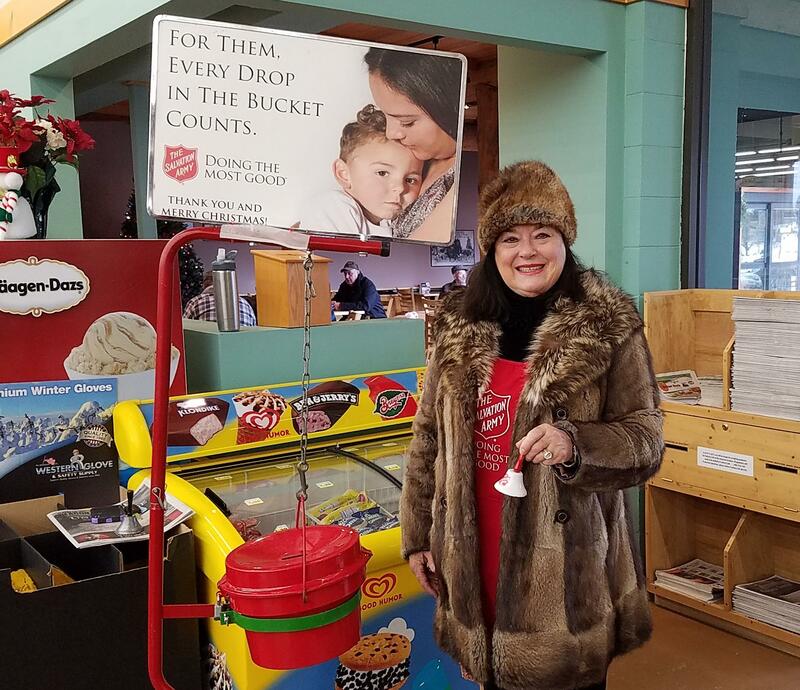 Bigfork Rotarians supplied 2 days of volunteers to host the Salvations Army's red bucket campaign this past week at Harvest Foods. Pictured are Joni Isaman (our resident elf! ), Jeanie Deetz and Beverly Ferguson. 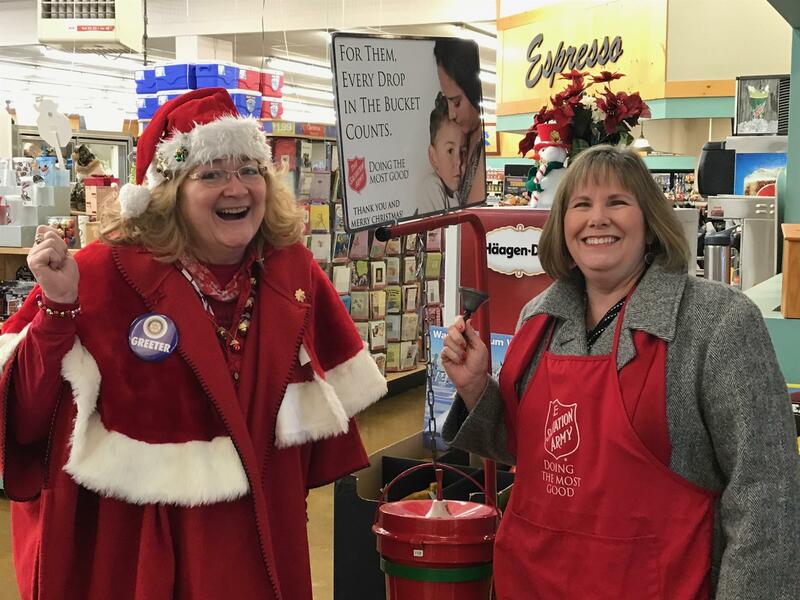 Normally outside, this year's freezing temperatures drove the campaign inside the store. Movie Night! Presenting "Bottle Shock"
The movie "Bottle Shock" will be presented at the Bigfork Center for the Performing Arts on Friday October 7, 2016. Donation suggested is $20 (or 2 for $30). Introduction prior to the showing by Laura Barrett, Author of "Memoir of Chateau Montelena Winery" Wine & Fabulous Desserts available for purchase. Three impressive Bigfork seniors were awarded Rotary Club of Bigfork scholarships to help them offset expenses their first year of higher education. They all exhibited excellent work ethic! Thank you to all the other students who applied for the community scholarships - the field was full of very accomplished seniors. 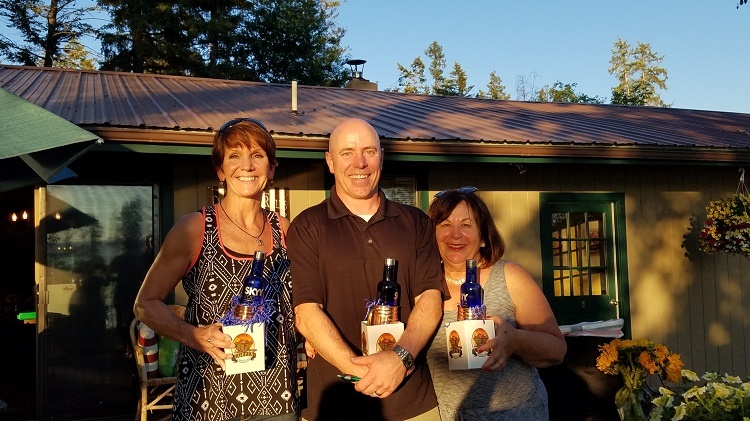 At the club's annual "end of year" party celebration, outgoing President, Heather Howlett honored three members of the club, recognizing them for their Service Above Self. Diana Kautzman received the "Community Spirit" award, Mark Armstrong the "Club Service" award and Nancy O'Kelly the "Carolyn Hummel Spirit Award". 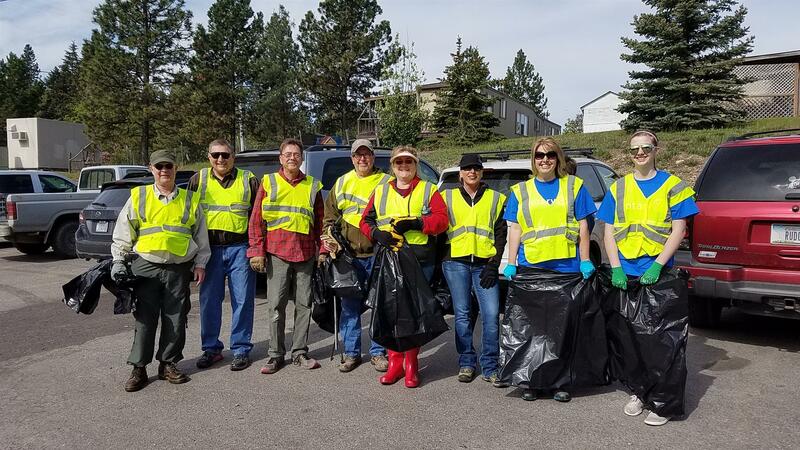 A few short of a dozen Bigfork Rotarians and helpers were lucky to have cool weather and dry conditions to tackle their Highway 35 cleanup day. With good turnout the job was done happily within two hours. The Rotary Clubs of Bigfork and Evergreen combined forces to bring the Harlem Ambassadors to the Flathead Valley! The clubs put together a FINE local team to challenge the professional team and they battled it out! The Ambassadors also provided entertainment during the lively show and involved audience participation and fun with the kids. Earlier in the day, members of the team visited Bigfork Schools and Evergreen Schools and presented an hour long inspiring assembly along with showing the kids some fun stunts. 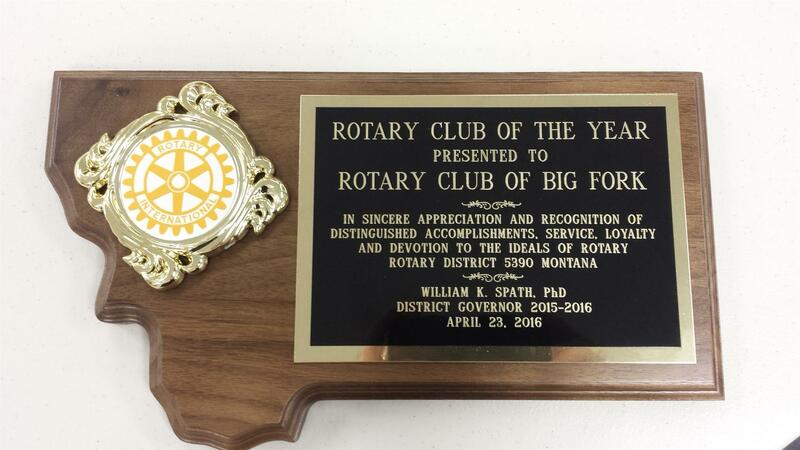 Heather Howlett, Club President of the Rotary Club of Bigfork, accepted the honor and plaque on behalf of the club as the Montana Rotary Club of the Year for 2015-2016! 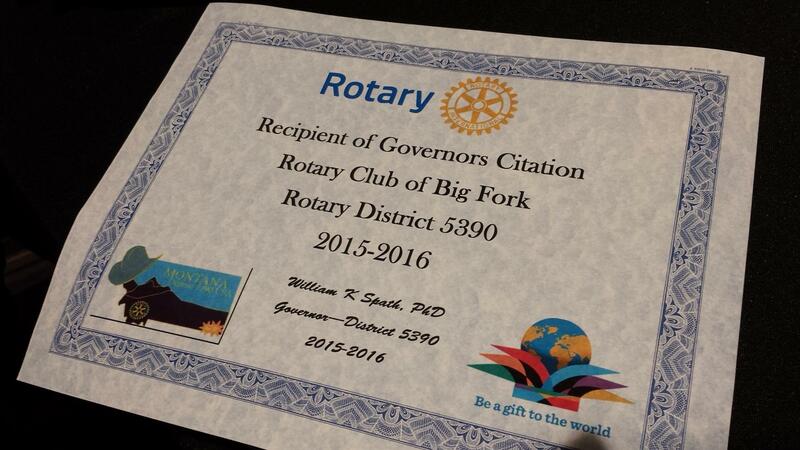 The club also earned Governor Spath's citation. The honors were presented at the April District Assembly. Woo-Hoo! 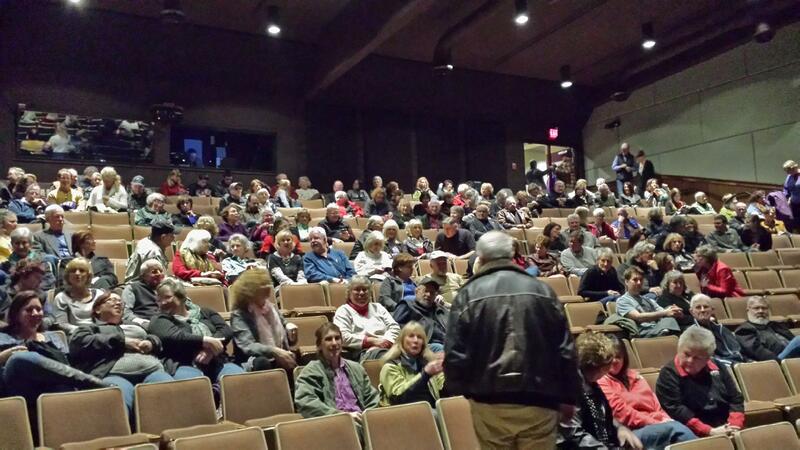 Last Saturday's Rotary movie night event at the BCPA was a huge success with local Bigforkian, David Ogden, introducing and enlightening attendees about "The Lincoln Lawyer". 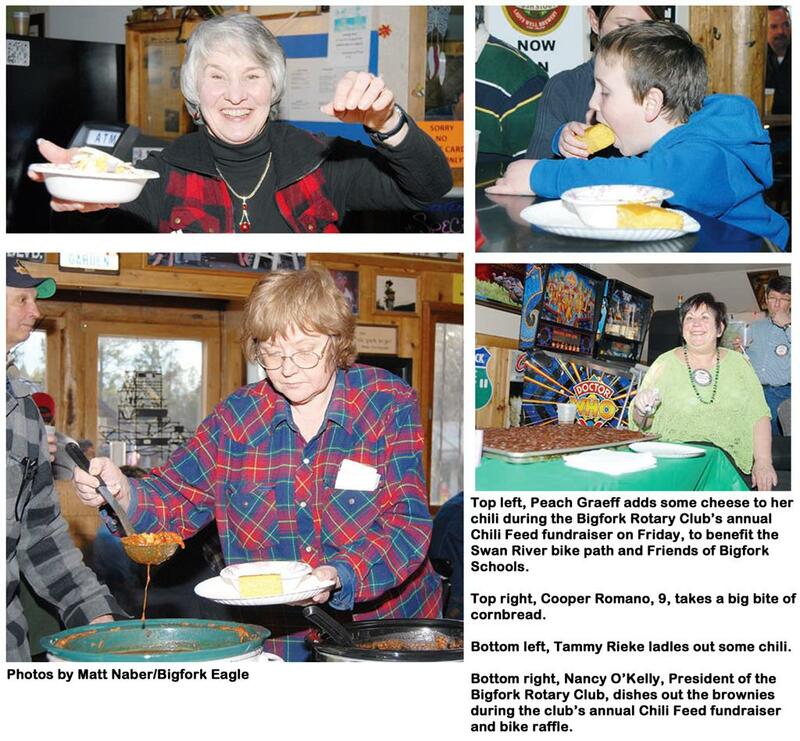 Some fabulous intermission desserts were made and sold by Rotarians and members of the Bigfork Interact Club. The Bigfork HS culinary class also contributed 3 desserts. The author, Michael Connelly donated signed DVDs and books for Rotary! Lets do it again soon! The Bigfork Middle School coordinated a project to bring together care package items for men and women serving overseas. Representative, Josie Howlett, from the student council presented our club with their project a couple weeks ago. 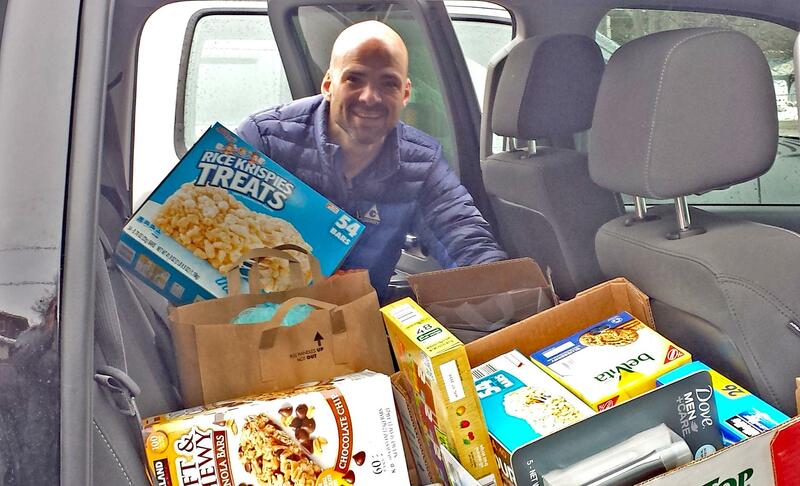 Yesterday, members brought in items like packaged snacks, batteries and sundries to bring to the Middle School. They will be sent off in time to arrive for Valentines Day. Pictured here is Matt Porrovecchio, Rotarian from the Bigfork School System loading his truck up with the club donations. 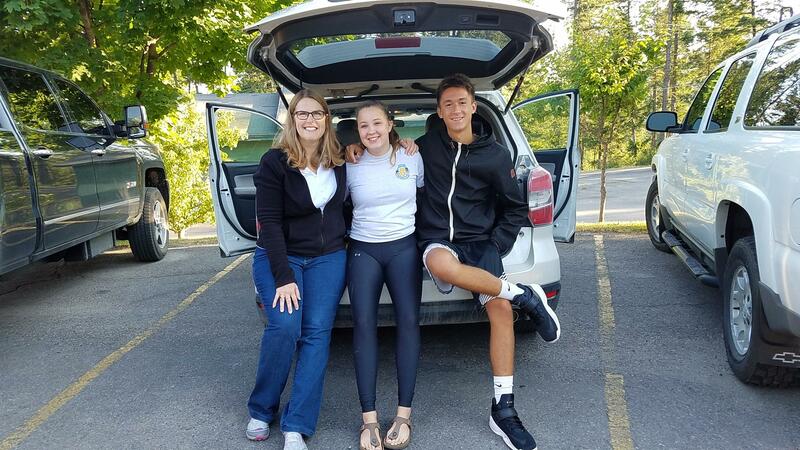 Our club became aware last year that there were a number of high school students that were considered homeless... meaning they didn't have a stable, consistent home to live in. Many change from a friends couch to a relatives spare room, or even sleep in their cars. This can happen for many reasons. These young people rarely have a meaningful holiday and certainly not loving gifts. So, our club got together and worked with a trusted member of the high school staff to create seven big gift packages for these kids filled with gift cards and assorted fun stuff. 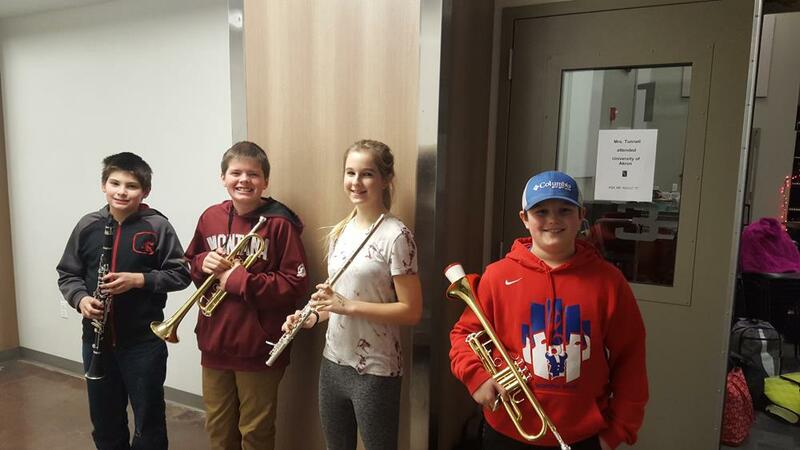 We hope they feel special and loved by the Bigfork community! This is a personal story this website editor gets to write herself! As we all have visitors come to our meetings, I also have invited my family members to come and see what Rotary is all about. Late this past summer my Mom, Elizabeth Rahdert, came and had lunch with us. 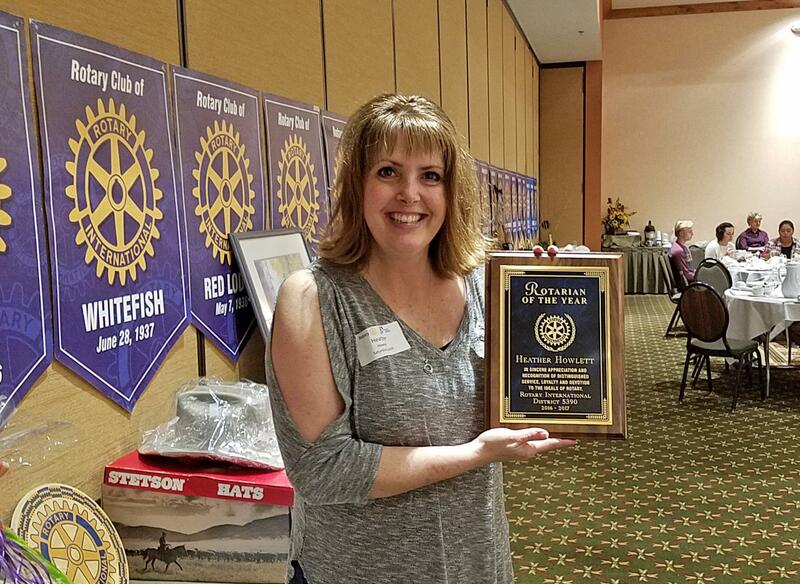 During the meeting we honored one of our own members, Joanne Knudson for reaching a milestone donation contribution level to the Rotary Foundation. My mom was impressed. Coupled with that thought, she and I discussed the possibility that her Dad, my Grandfather, may have been a Rotarian sometime in the 1940s-1950s. I did some research the following week and found out that indeed he was a Rotarian in a club still in existence in Indianapolis. On a side note, my Father is also a Rotarian in Lafayette, IN making me a third generation Rotarian...how cool is that! As I have conveyed to my Mom over the years how much Rotary International has been in the forefront of Polio eradication, I learned in that course of discussions that my Mom had suffered from Polio when she was a little girl. She now has some post-Polio issues with lack of strength in her legs. To make a long story just a little shorter, she has become very impressed with Rotary and the battle to eradicate Polio. So, this month she made a $10,000 donation to the Polio Plus Foundation in honor of her late Dad and Mom - Carl and Josephine Quanz. With donations like this one, the world is close to saying goodbye to this dreadful disease. "Good, better, best. Never let it rest. Until you good is better and your better is best." Rotarian Joe Pratt, just one of two Americans who successfully reached the summit of Mount Everest from the north side in 2012, spoke at FVCC on Friday, October 17. Rotarians and community members were mesmerized to hear his awesome and personal story of this climb and how it became dedicated to the eradication of Polio. This year’s theme is “Engage Rotary, Change Lives.” Local members Marilyn and Gordon Graham are excellent role models. 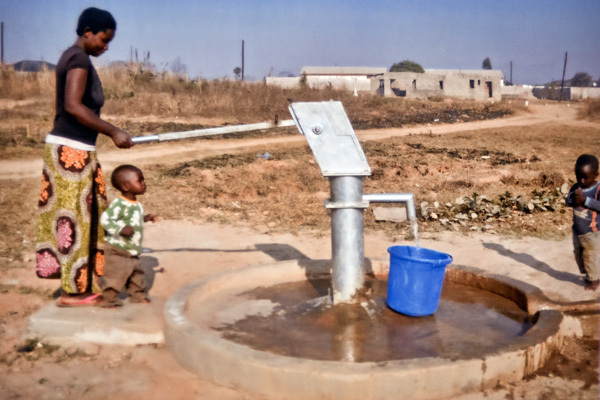 They have been engaging Rotary and changing lives for many years. 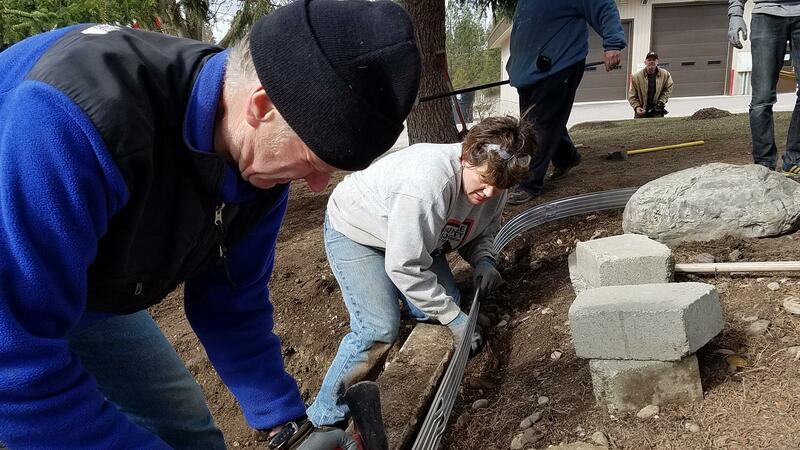 With the assistance of the Rotary Club of Bigfork, the Grahams helped secure a $23,000 grant from Rotary Foundation to help a small village just outside the town of Kitwe in the Central African nation of Zambia. Dr. Suzette Johnson of New Jersey (center) - winner of the raffle - with Renny Johnson (left) and Nancy O'Kelly (right). Photo: Nancy O'Kelly, woman with a path. Nancy O’Kelly is good for my heart. And I’m not referring to her natural warmth, endearing charm, or ebullient personality. While those are self evident, it’s her work on the Swan River Bike Path that has my attention right now. Having just had one of those chats with my family doc who said my heart needs less nourishment and more exercise, I could use a good bike path. 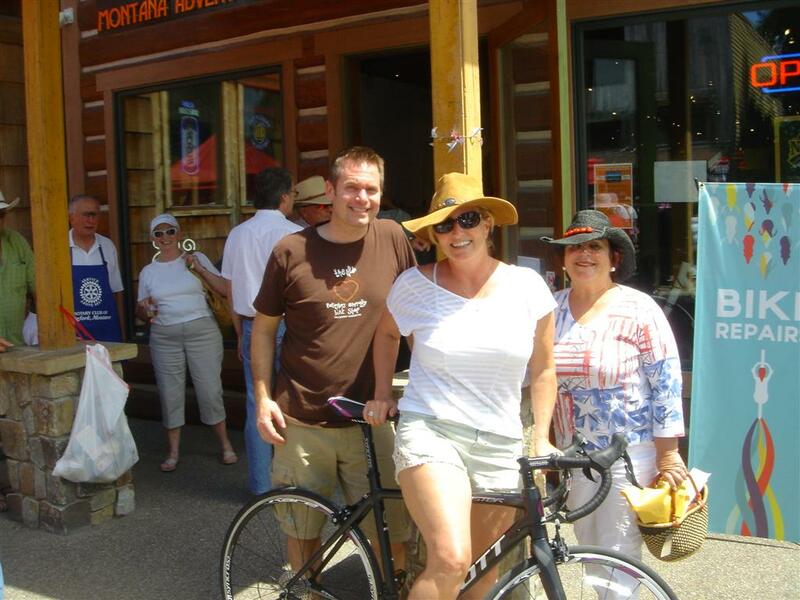 And Nancy, president of the Bigfork chapter of Rotary International, seems just the person to deliver it. 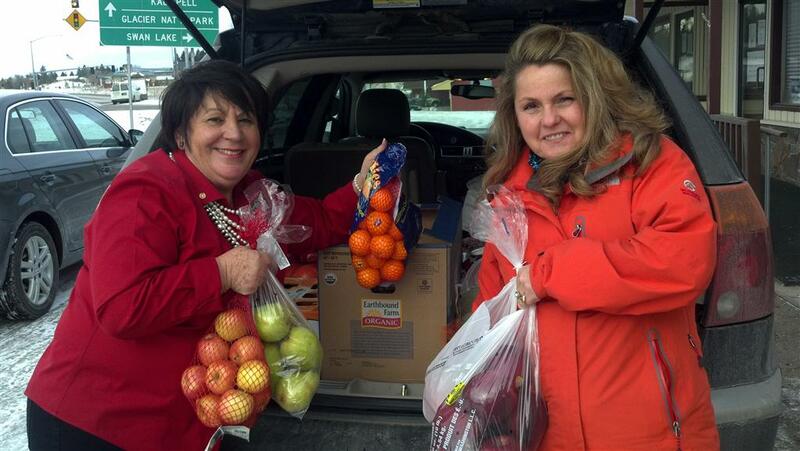 Nancy O'Kelly and Karen Henion delivered 145.3 lbs of fresh fruit for Christmas. 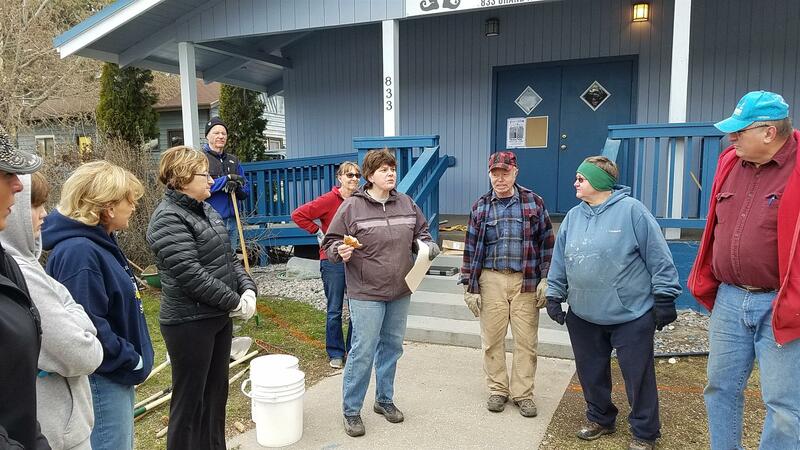 Bigfork Food Pantry was thrilled to receive it, and very thankful for the generosity. 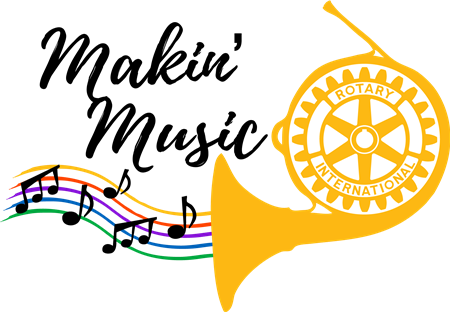 To recognize the contribution by Rotary, Glacier Symphony and Chorale is providing each Flathead Valley Rotarian with one free concert ticket during the symphony’s opening weekend. Visit our new website: www.clubrunner.ca/bigfork ! Keep current with upcoming club activities by checking the "Calendar" and "Speakers" sections. Enjoy the stories of our adventures. The menu bar is located just below the club banner. 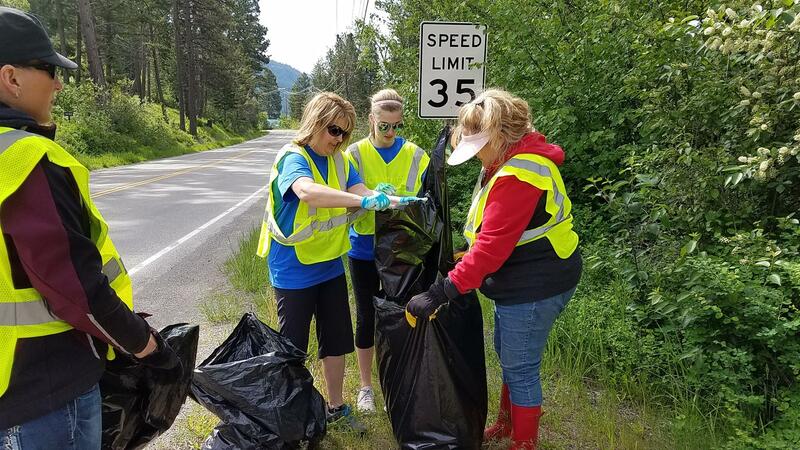 Do you have a Rotary story to tell, a noteworthy news item or photos of Bigfork Rotary members in action? Please share it with us! 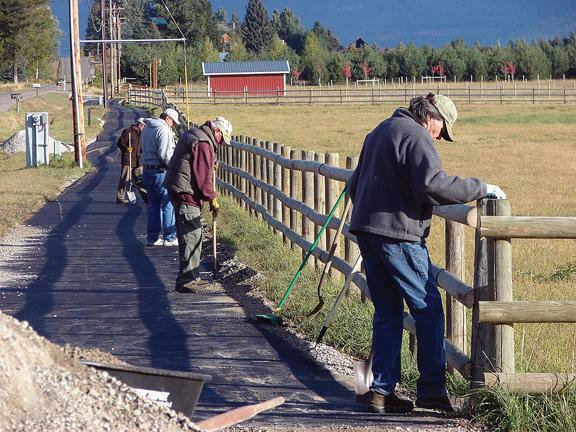 Work - Bigfork Rotary helped work on the initial part of the bike path in 2009. Photo courtesy of Rick Trembath. 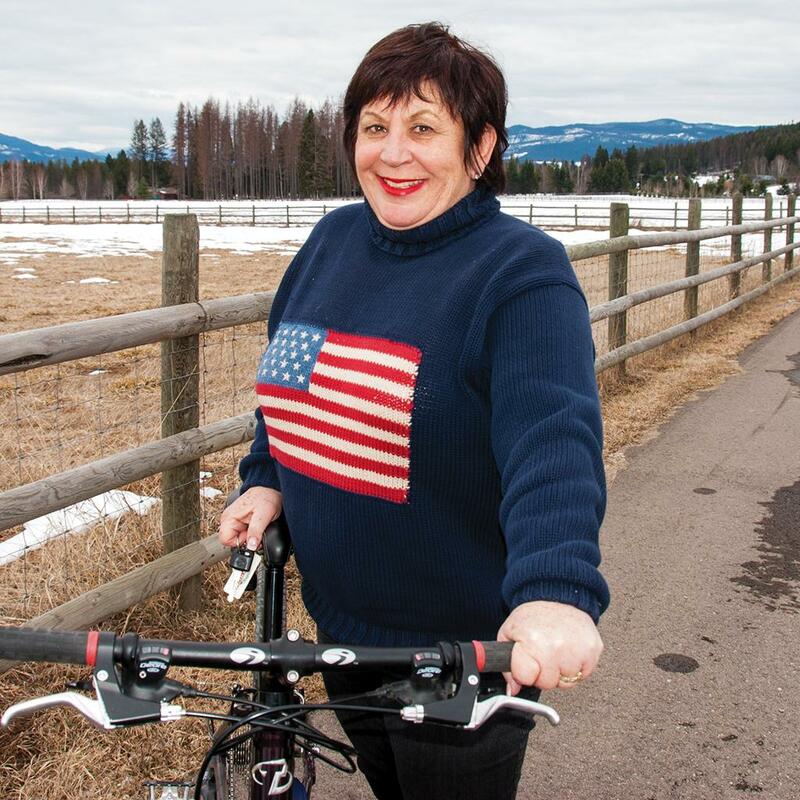 The Bigfork’s Rotary Club reached its goal of a $41,000 match to fund the two miles of bike and walking path on Swan River Road. The Flathead County Commissioners unanimously endorsed the county contract on June 14, 2012.